Beds are very hard and uncomfortable and pillows were hard and a little damp smelling. In fairness we did have a lot of rain during our stay. Breakfast was just ok..typical basic buffet breakfast in Thailand. It is a beautiful location with a gorgeous private beach, little swimming pool with a great view and friendly and helpful staff, but with the beds being so hard and uncomfortable, I doubt we would return there again. Pros- Beautiful serenity, pvt beach, nice pool, friendly staff. Cons- very uncomfortable bed, coil springs into my body as I turn and I'm no heavy weight. Superior sea view we booked only had partial sea view, the cheaper units actually had the best view? Smoking section at pool was annoying as it is right behind to sunbeds so every time someone smokes we have to inhale their 2nd hand smoke and smells terrible. Perhaps just allocate it else where and not at a public place where everyone else enjoys clean air. The bungalow on stilts was spacious with breathtaking views! The staff were so welcoming and friendly. The beach was so nice with bean bags and private cove. And don’t get me started on the massage the massage lady got every knots in my shoulders and neck exceptional! Also wonderful breakfast buffet thank you will be back! Staff, location and staff again! 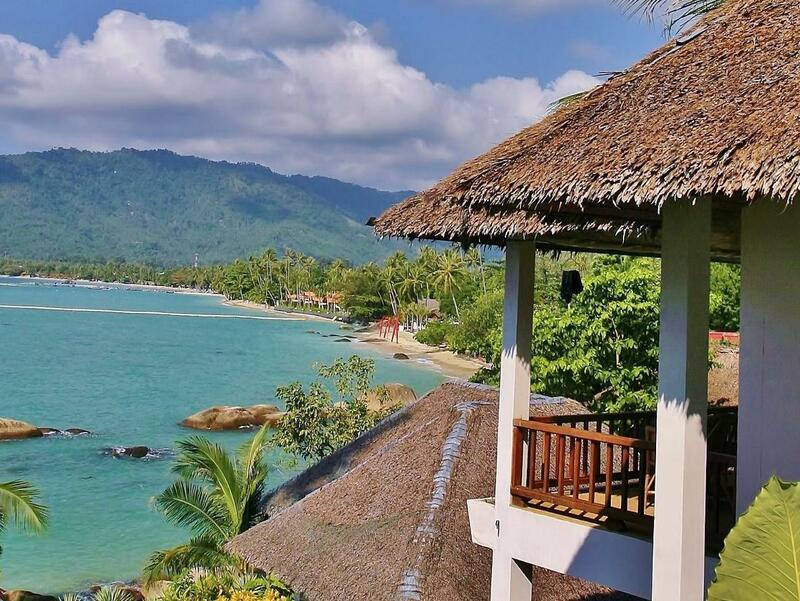 The resort is situated on the little rocky North end of Lamai Beach on Koh Samui. I originally booked one of the small fan cooled bungalow. It does say on the description that the bungalow is small and indeed it was. Everything is well fitted in but at the end of the day you can barely walk around the bed. You still get a beautiful view all over Lamai Beach. Upon returning I upgraded to an aircon bungalow and that was just perfect: The cute balcony, the larger bathroom and better bed, TV facing the bed, a proper desk where to put your things and windows all around the front. You are also closer to the water too. Why top marks? I managed the unthinkable for someone who rides a big bike all year around at home. I came off the small rental bike on a light sandy patch on a bitumen road and sustained two broken bones in my shoulder. I couldn't believe it, so stupid like the many other thousand people before me.... Rattikorn, the Front Office Manager, who was at the hotel desk when I came back to the resort organised a cab to hospital. She waited for me well over an hour, may be two to make sure I was alright. She knew what documents to bring with me at hospital, advise me on my best options with regards to my insurance and she did the talking with the hospital staff. She totally pampered me when I was still under the shock of my fractures. She also came to visit me the second day in hospital before my discharge. Another guy returned the bike to the shop and took care of the repairs. All in all it made the all difference between a disaster and a damaged controlled embarrassing booboo. Everyone was so friendly and helpful that I stayed a few more nights before flying back. The manager Mee was there too to help and get things done like the cash advance to thanks the guys who picked me up on the road and drove both the bike and myself back the resort. And none of them ever asked for anything. The bungalows are set amidst trees and flowers on a hillside with wonderful views of the ocean, the bay and the mountains. The location and setting is simply exquisite and has an ambience that I doubt the 5 star hotels which surround it have. It has it's own private secluded beach in a small bay, with powder fine white sand. While the bungalows are small, have a lovely little balcony. While they need some updating they are immaculate and were promptly cleaned every morning while I was at breakfast. The minibar was the best I've come across, the air conditioning was effective, wifi worked and water a perfect temperature. The staff were unobtrusive and it felt very private. The breakfasts had a large choice of Western and Thai food and home baked bread. This is the place if you want to experience nature, birds geckos. It was such a find, particularly in the high priced Lamai Beach area. And I noticed they provided plug adapters in the. In all the attention to detail was unsurpassed. The staff were friendly, the breakfasts were became rather boring, not enough variation. The housekeeping was dreadful, the toilet was stained & not cleaned properly nor the shower throughout our 2 week stay, there was dust under the bed and on the units, really very poor standard. The gardens were not well maintained the 'grass' grew quite long & was not strimmed or cut during our stay, with weeds along the paths & steps. We ate in the restaurant twice & the food was reasonably priced & fairly good although my husband had a burger which arrived almost cold, the beer at 100 bahts for a small bottle is certainly overpriced. We paid for a superior room with sea view it was only a partial sv with a bungalow directly in front of us, the whole place could do with some TLC & refurbishment, everything is very tired & the shower was particularly slow no pressure with luke warm water even though it was electric. The hotel consists of bungalows of different sizes and sea views, many rooms with a magical view, the territory is green, birds sing, parrots fly, quietly, quietly, snugly. Panoramic view of Lamai beach, people come for lunch, dinner, enjoy a beautiful view! For breakfast with great pleasure went, wonderful food. In Lamai Bay View resort I work the most wonderful people, they give the hotel a wonderful atmosphere! From the first days we really loved SOM (Phakaon Ruangsri) !!! She always helps and tells you everything. Delicious cocktails and a friendly smile will provide San (Aungkyaw Sann), thank you very much! On the last day of rest, Aeroflot airline provided problems and refused to facilitate the transfer of departure, Aunt Pat (Onanong Sripannak) came to help. She agreed with Bangkok Airways and our departure was postponed at a convenient time for us. Thank you for everything ! You are our family, we will return to you! With love Irina and Alexander, Russia. I was just staying overnight before catching a flight home the following evening. Loved the beachside bungalow, very comfortable, clean and room with a beautiful view! Pool area was a bonus looking out at the ocean as the tide was low so not able to swim in the ocean. Only a short easy walk into the main street of Lamai (20 mins) along the beach. Staff were helpful and courteous on arrival and throughout the stay. Highly recommend! We went there on a 5 day trip and booked this one as we were on a budget . But, apart from the location Which is quiet inside from the actual main area and the room was quiet smaller and not enough lighting, It was an absolute pleasure to stay there . The pool and the view was beautiful Our bungalow was facing the beach and sea it had a beautiful view and a nice sit out big and spacious . Our 5yr old daughter loved playing in the beach were they had toys and sand castles to play and a massage parlour facing the sea.. the breakfast was good with wide varieties ..overall it was very reasonable and a beautiful peaceful place to relax .. They had new year party with fire crackers on the beach . Which was beautiful to watch from our place The welcome drink and the staff were also pleasant. Except that they were little strict on timings and renting bikes . Overall a lovely stay . It's the one thing we miss the most in koh samui..
Best view,nice pool but small ,break fast is very basic but it's ok,price is good for the view,you can rent motor cycle for resorts for 250bath,restaurant is very expensive so rent a motor cycle and eat from our side,they have 3 nice dogs ,white one his name is lucky ,I wanted to talk him home :). We stayed at this resort with our 10 months old baby. It was just amazing!!! You have an amazing view, the privat beach of the hotel and the beach right next to it are soooo beautiful!!! I would truly recommend this resort to anyone! 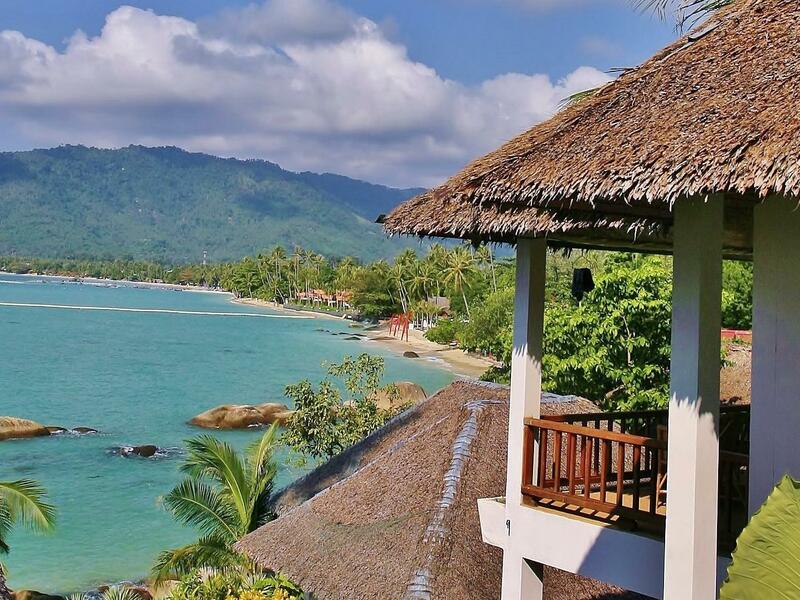 It's a great value for the price in Koh Samui and the location ist just perfect! 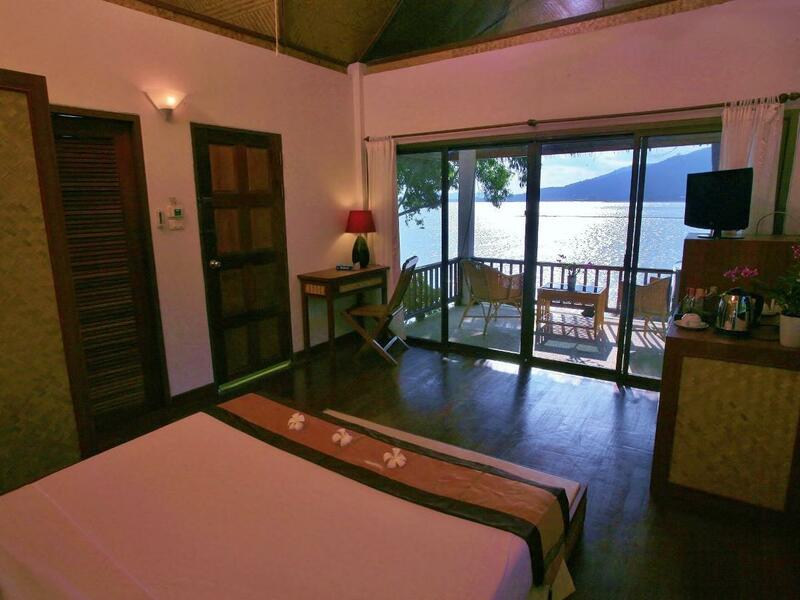 we had booked 2 Superior Sea View bungalows but were shocked upon entering one of the two rooms. It was smaller with partial seaview on the last row. Upon complaining the staff responded by saying that there was some goofup and they had no Superior sea view bunglow available for the next four days. In return they offered us free extra bed for two children with free breakfast. But we had to compromise on the view and balcony sitting for one room. Rest of the stay was pleasant, decent breakfast, good location and views from the other room (superior sea view bungalow). we even hired a car Honda city automatic for three days from the hotel at a reasonable price. We booked the Beachfront Bungalow with AC, which I believe is the highest category room you could get. On our first night we were put in a "beachfront" bungalow that had the ocean view blocked by trees and mountains. The one large bed was also two double beds put together, with two different sets of bedding. The staff was helpful to switch us to a better room the next day that was wildly better, but the first room was definitely not what we paid for. Other than that, the restaurant was great with very reasonably priced food. Staff service was attentive too, and the view was beautiful. The beach had a lot of rocks instead of just pure sand, but still totally OK for taking swims. Not enough beach lounging space for how many hotel guests were there, though. Loved it. I was travelling alone to train Muay Thai. I chose to stay at Lamai Bayview as an injury prevented me from training all the time and I knew I would want a quiet spot to chill out in between. I spent the extra on a Seaview bungalow and it didn't disappoint - plenty roomy for a solo traveller although for a couple I would recommend going for the superior bungalow for extra space. True the bungalows are a bit dated but still have a relaxed rustic feel and are very clean. Wifi connection was good and great for making video calls whilst chilling on the balcony looking out to sea. The palm trees and bamboo all around feels like the resort is in keeping with its natural surroundings , an added charm. I saw some crappy reviews on the breakfast so wasn't expecting much however, I thought there was quite an adequate selection for a 3 * place and plenty of it-after a morning of Muay Thai training, I absolutely took advantage of the breakfast buffet! Staff always smiley and helpful. Location wise, if you are looking to be in the thick of it, don't stay here. Lamai Bayview is a peaceful calm tucked away in the quiet end of Lamai but still near the nice beaches - a rare find in Samui that I notice is becoming seriously busy in most places, especially on the ring road. Perhaps a tad overpriced but I'm not sure you would find many mid range accommodation in such a good spot on Samui these days. Similar locations seem to be occupied by the higher end expensive resorts/hotels. I hired a scooter which you kinda need to access the more happening areas in Chaweng and Lamai - don't hire from Lamai Bayview though, you can get cheaper elsewhere for 100 or 150 baht/day. I stayed for 18 nights and would go back. 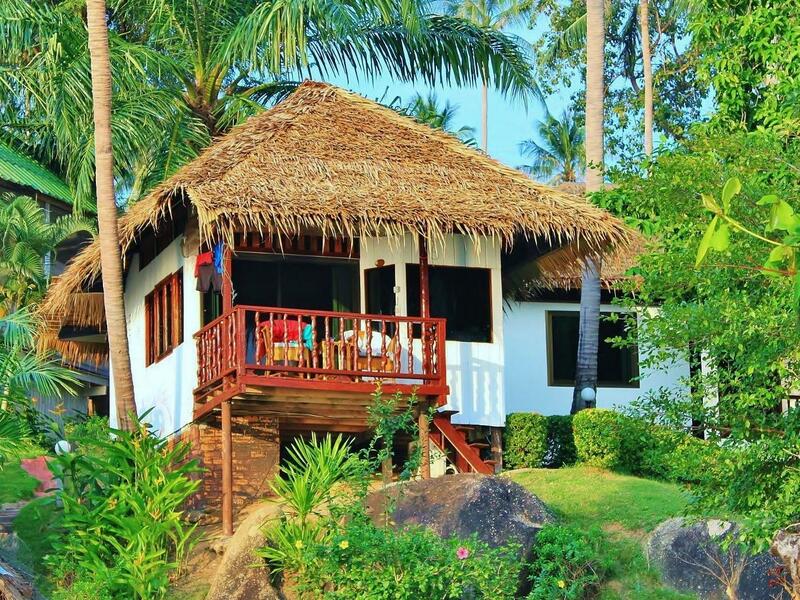 A perfect base to retreat to in between Samui adventures. The bungalow are quite small, no place for wardrobe - that is a minus. Food in restaurant is delitious (we tried few different types) but prices are 2-3 times higher than in restaurant 300m earlier. Huge breakfast, in a queit area. We booked bungalow for 2 nights and than prolonged our staying for 2 nights additionally!!! Relaxing atmosphere, nice view, clean bungalow, friendly staff and good location: 20 minutes distance to centre of Lamai beach. We really enjoyed!!! It's a lovely place for the price. Nice and quiet if that's what you are after. The beach is very shallow water for 1km and not really a swimming beach. A 3 minute scooter ride and you will be in Silvers beach which is stunning.